It really isn’t Christmas without lights and decorations. These are what set the stage for coming to together and celebrating. Just think of your earliest memories of Christmas. You look down the street and one by one the homes and buildings light up with a glow that makes the chill in the air not so biting. This is one of the reasons why we here at West Coast Windows love providing lights and decoration service. When you switch on those holiday lights for the first time and we see your eyes widen and a smile emerge, then we know that we have performed a job well done. Enjoy the Season and Let us do the work. We know that many of our fellow Renton community members have a great deal to do during the holiday season. It is kind of funny that a time that represents peace and joy can sometimes feel hectic and stressful. But don’t get your stockings in a twist! Help is close at hand. Our professional service will come to your home and walk you through the design process, so you will get exactly what you are looking for. Even if you only have a rough idea of what you want, our team will make suggestions on what lights will work best and where. There is a lot of window shopping during the Christmas season but your Renton business may not get noticed if you don’t decorate. On the other hand, you might get noticed if your store is decorated poorly, and that is probably not the sort of message you want to send to potential customers. There will be many people who are discovering your shop for the first time. are you confident that you will give an excellent first impression? Why not put your trust in a team that specializes in making your commercial business look warm and welcoming? West Coast Windows is ready to get the job done so you can focus on what you do best, running your business. Of course, removing lights is almost as tricky as installing them. That is why we include taking them down as part of the service package we offer our Renton customers. Stay off that ladder and let someone else do the work! 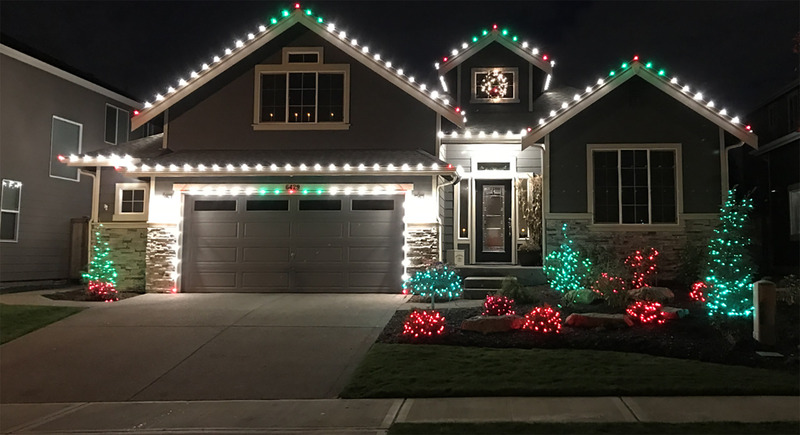 If you don’t have the time to spend on designing and installing the perfect Christmas light installation for your home or business, don’t fret. The team at West Coast Windows is quick, efficient and ready to make the exterior of your property spectacular! If you have any questions or comments about our Christmas lighting service, please feel free to contact us by phone or email.